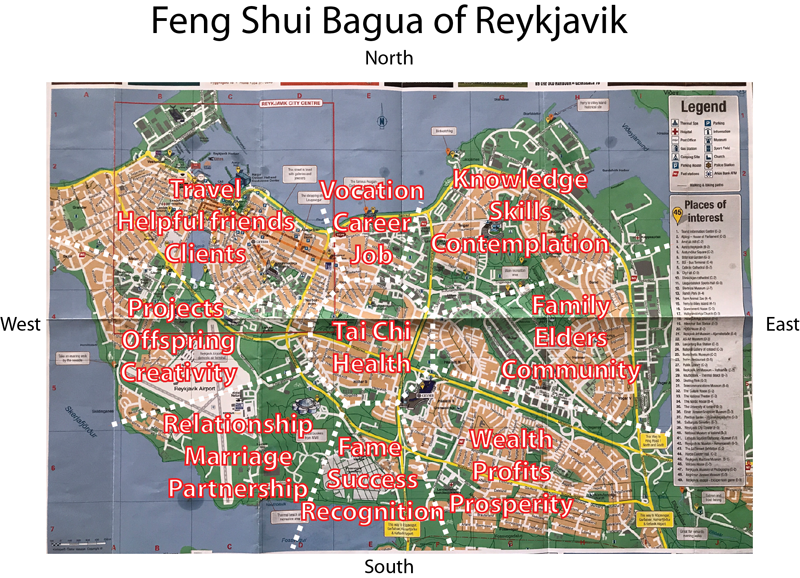 Looking at the bagua of Reykjavik it looks like city centre is in the helpful friends, travel and clients area of the bagua model. This is also where the port is and when big cruise ships come in with thousands of tourists, the whole city is buzzing with excitement and expectation. The energy of Reykjavik in the summer is quite good but not brilliant. I would rate it at 7/10, for all kinds of reasons. Read below. Although the weather is changing constantly, it seems that there is not that much architectural diversity in Reykjavik. There is a lot of sameness and little variety when it comes to buildings. For that reason, I would rank the yin and yang aspect of buildings at only 4/10. The Icelandic motto “þetta reddast” can be translated as “it will all work out fine”. Five elements are well balanced with all elements (water, tree, fire, earth and metal). I would rate it at 8/10 with predominant elements of earth, water and fire. Iceland is a volcanic country with geysers, glaciers and fjords as well as mountains, waterfalls, lakes, ice caves, geothermal spas and spectacular nature reserves and views. My ranking for the five elements is 8/10. 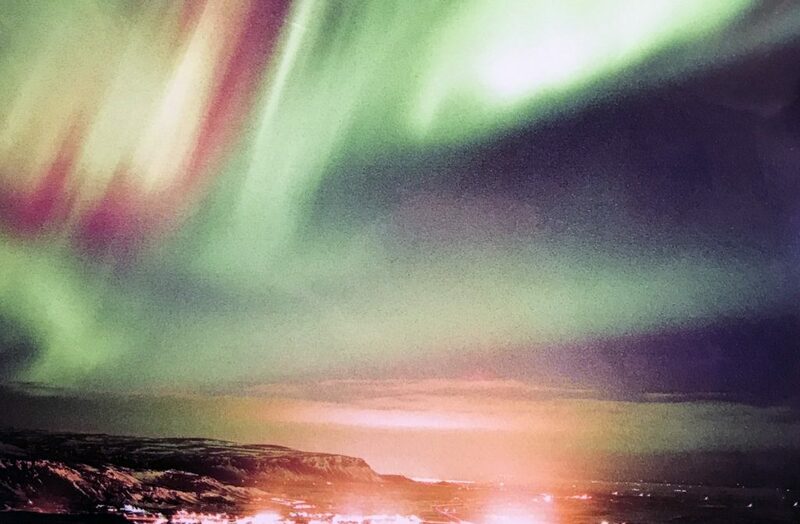 The earth and heaven aspects are well connected as one can see with the Northern lights which make plasma get activated and visible so beautifully in Iceland. A perfect example of heaven and earth’s energies working connecting and working together. Iceland is surrounded by the Greenland Sea and North Atlantic Ocean with an abundance of very good drinking water from glaciers. The whole country is powered by geothermal energy. All houses have two taps for water: one for hot water coming from the ground already hot and boiling for washing and cleaning (not suitable for drinking) and one cold water tap for drinking water. The volcanos in Iceland area famous, especially Bárðarbunga which disrupted air traffic big time when it last erupted in 2014-15. Seismic activity surrounding volcanos is usually present. Earthquakes are become more pronounced or at least more noticeable in recent years in many countries, even in the UK. Earthquakes and geopathic stress are connected. Another famous volcano is Eyjafjallajokull which erupted catastrophically in 2010. And in 2018, Iceland volcano Katla is threatening to erupt, according to latest reports by experts. Sarah Barsotti, co-ordinator for volcanic hazards at the Icelandic Meteorological Office, said: “There is no way of telling when it will erupt, just that it will.” Researchers believe that there will be more earthquakes and volcanic eruptions in the future as the big glaciers disappear and land rebounds. More volcanos and earthquakes in Iceland? The quality of air is excellent in Reykjavik and Iceland. The winds can be strong but that also means that the weather is very changeable. I’m sure there is some air pollution in Reykjavik but the winds blow it away rapidly. Driving from Keflavik airport one can’t stop wondering about the Moon-like, volcanic landscape. No trees. And when in Reykjavik, I haven’t noticed a single corner flower shop. Of course, people love nature and will do simple and little things to bring some nature to their home or workplaces. 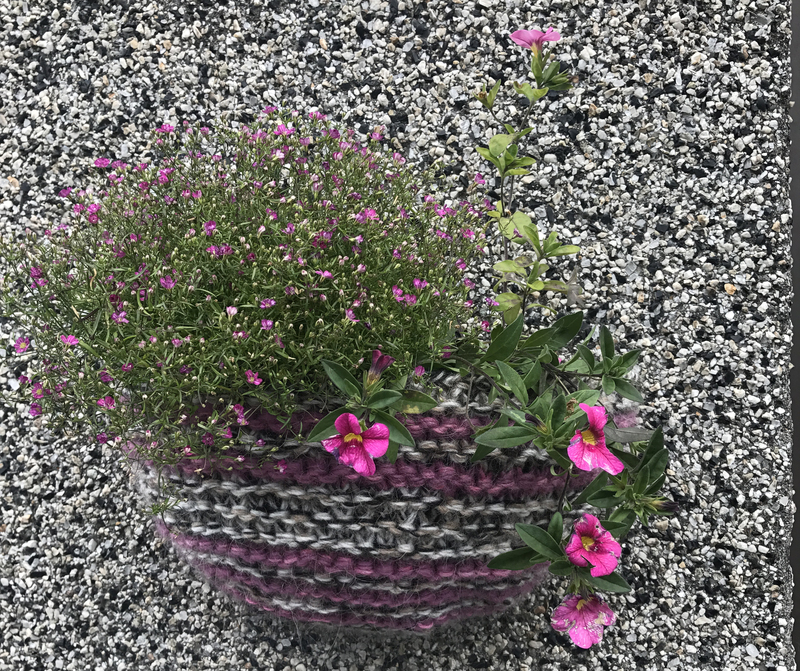 I’ve noticed that a lot of shops have flower pots outside the front doors. Also, people have flower boxes outside their windows or doors, like this one below at 20 Norðurstígur, Reykjavík. As a feng shui consultant and environmental psychologist, I’ve noticed some universal and unique values that most Icelanders hold dearly. We all could learn from and adopt these values, especially in terms of world peace, work ethics and positivity. • Homes are important to Icelanders. Most Icelanders dream about owning property. There is a shortage of properties in Iceland though. Most people live in flats and apartments. • Work ethics is high in Iceland. Icelanders are hard working and value work so much that some people have even two or three jobs going. The wages are high but the prices are high too. • Peace is also highly valued. Please note that it was Reykjavik that hosted the meeting between Gorbachev and Reagan. The former French consulate, called Hofdi, was the site of the Reykjavík Summit in 1986 which resulted in the 1987 Intermediate-Range Nuclear Forces Treaty between the United States and the Soviet Union. Also, the Imagine Peace Tower (Icelandic: Friðarsúlan, meaning “the peace column”) is a memorial to John Lennon from his widow, Yoko Ono, located on Viðey Island in Kollafjörður Bay near Reykjavík. • “Þetta reddast” philosophy. The Icelandic motto “þetta reddast” can be translated as “it will all work out fine”. Life hasn’t always been easy in this barren, harsh country and Icelanders have developed an attitude which sometimes appears a bit carefree. When faced with challenges, Icelanders believe that things will work in time – even the biggest problems have solutions. Þetta reddast attitude could be a reason behind Iceland being one of the happiest nations (or is it because the city has the highest percentage of marijuana smokers – not technically legal). Þetta reddast is also a good reminder and a piece of very practical advice to relax and be optimistic when faced with challenges and problems. Most people know about Björk Guðmundsdóttir. Other famous musicians are the post-rock band Sigur Rós and a band called Of Monsters and Men. The current mayor of Reykjavik is Dagur Bergþóruson Eggertsson. The previous mayor was Jón Gnarr who was a successful and well-known comedian and actor and originally the whole thing was a joke. Surprising his Best Party’s campaign was successful and he won and served as the Mayor of Reykjavík from 2010 to 2014. His campaign promise was to make Reykjavik a fun place. He wrote a book about his four years as a mayor of Reykjavik called ‘How I Became the Mayor of a Large City in Iceland and Changed the World’. Eddie Izzard, a British comedian, is going to run for a mayor of London in 2020. I’m not sure why and how Eddie decided to run for a mayor but I’m sure Eddie Izzard is reading his book to learn from his mistakes and successes to become the next mayor of London. 3) Add more pleasure, joy and fun things to your homes and workplaces. 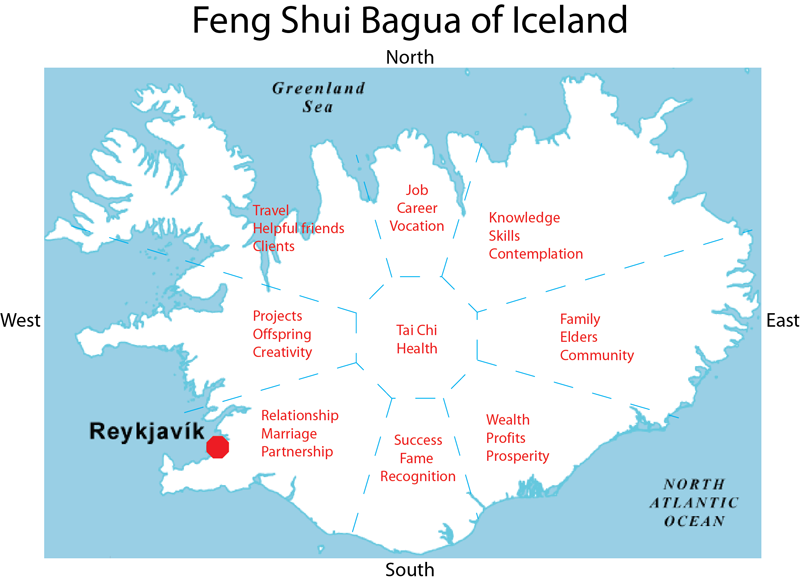 I’d be happy to come to Reykjavik and teach feng shui class or workshop if you’re willing to organise it. Posted in Feng shui of cities and tagged Eddie Izzard London mayor 2020, Feng Shui Bagua of Iceland, Feng Shui Bagua of Reykjavik, Feng Shui Consultant in Reykjavik, Feng shui of Reykjavik, Mayor of Reykjavik is Dagur Bergþóruson Eggertsson, Previous mayor of Reykjavik Jón Gnarr.